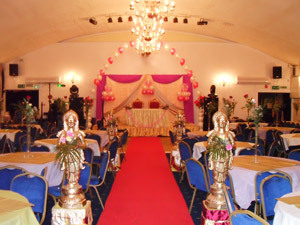 We specialize in wedding functions and provide the finest traditional dishes and any other services that you may require. 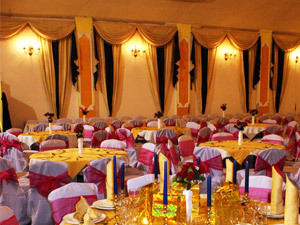 We have the finest, fully air conditioned hall for the celebration of weddings /christening/birthday parties/anniversaries/ Ceremony /any celebration you think of, will make your bridal shower or baby shower any celebration at JK Banquets a truly wonderful and memorable event. Obviously this can be a friends/family party or an office Christmas party - the experience will be satisfying either way. 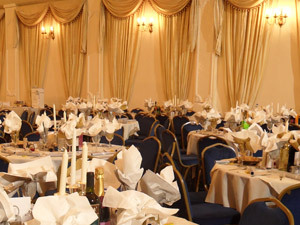 Services: Hire of the hall, Table, chairs, linen, cutlery, crockery and glassware. Use of the kitchen, Full waiter and bar service, Live band or DJ and Security, Limousine service, music , decorations, photography, we will arrange all these as per your need and suits your budget.